Lately, life seems to be going a mile a minute and I’ve been feeling like I’m barely hanging on. I made a decision last week that I wasn’t going to sit around and let the chaos outside ruin my internal peace. But of course, I’m really terrible at keeping calm (like ever!) so I started looking for tools to help me. Happify is an online program that allows you to teach yourself to focus on the positive. There are games and tasks to complete that work with you to reframe your thoughts. There is no magical cure for seeing the bright side of things, but people who cultivate a positive mind-set perform better in the face of challenge. And as I currently feel very challenged by my life and my schedule, I want to be armed with whatever tools it takes to win. The hardest part of this challenge is finding the space in my day to focus on it. However, giving myself a few minutes to pause and adjust my thought process ends up being rather rewarding. I noticed a couple of folks on Facebook doing the #100happydays challenge and it turns out, it’s a pretty cool non-profit foundation dedicated to helping people recognize and capture the things that make them happy. You can use your Twitter, Instagram, Facebook or just email to capture these moments. Instead of allowing a busy life to steal my joy, I’m going to focus on the things that make me feel joyful. I have the power to decide my attitude and if I’m going to watch time fly, it might as well be while I’m having a good time. I already use my Instagram to capture photos of things that I enjoy, but why not use this platform to focus on the good things. 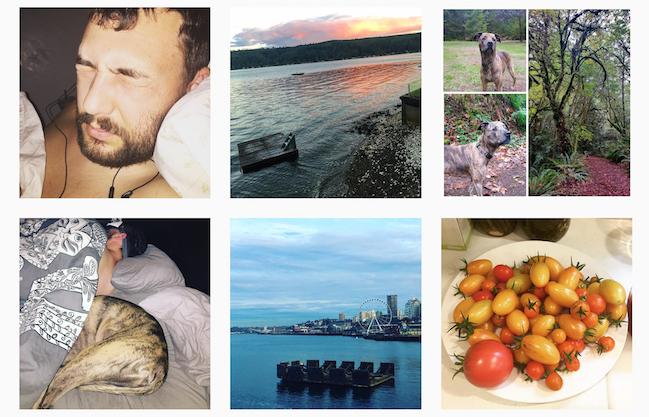 There are 22,471,746 posts in the Instagram #100happydays hash tag. It’s fun to be a part of that. Remembering to take a photo a day is the hardest part of this challenge. Luckily, I have a lot in my life that makes me happy so there are multiple photo opportunities once I remember. My co-worker has a book with daily readings in it. 365 days of quotes, encouraging words and affirmations to give you a morning boost. It might seem a little touchy feely and in some ways I suppose it is, but some of the quotes are beautiful, all of them are encouraging and anything is better than starting your morning with email. I’ve struggled with remembering to grab the book when I get into the office and read the day’s passage, but I’m working on starting my day with grabbing the book before turning on my laptop. So how will this all go? Who knows. I’m pretty notorious for starting too much and then not finishing it. I regularly start challenges that I don’t finish. This could all lead to nothing…. Do you have any things you do to keep it positive?